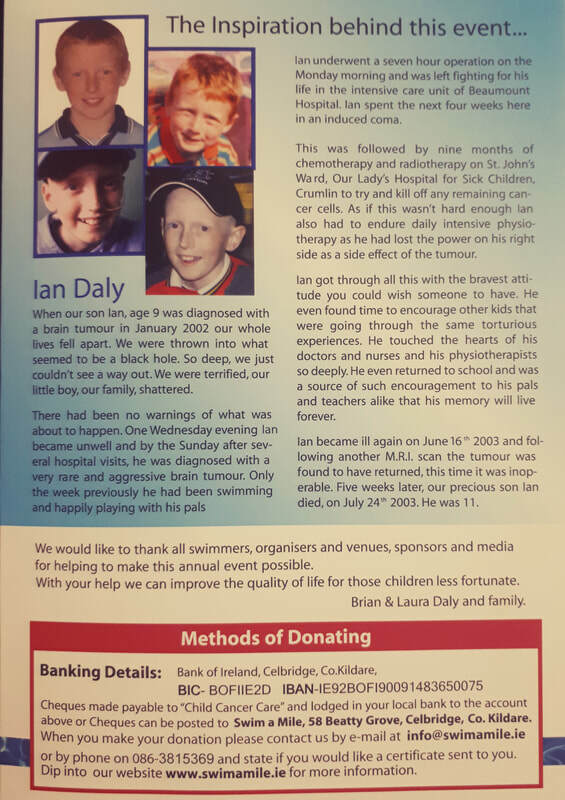 ​This year’s Ian Daly Swim A Mile With A Smile to raise funds for our two worthy charities Crumlin Children’s Hospital and Barretstown will take place on Sat & Sun 21st and 22nd April 2018. Once again, the National Aquatic Centre is being used on both days where you can complete your sponsored swim on Sat 21st April between 2:15pm and 6:15pm and between 11am and 3pm on Sun 22nd April. You can also complete the swim in your local pool anywhere around Ireland at a time around this weekend that suits you. Just click on the registration link on this page to book your time and receive your sponsorship card.